BOSTON (March 19, 2019) - Major League Lacrosse (MLL) announced today a 3-year agreement with ARYSE, a leader in orthopedic and sports bracing, as an official partner of Major League Lacrosse. ARYSE has traveled across the nation to connect with athletic directors, trainers, coaches and athletes. The common goal ARYSE shares with all the sports professionals they have met with is to keep athletes healthy and in the game. They have worked diligently to create sports-bracing solutions that do just that. Lacrosse is a fast moving, high-intensity sport. The ARYSE Functional StabilityTM braces allows the body to function as it’s intended without disrupting the body’s natural movement to the cleated athlete. The ability for ARYSE braces to mimic the natural movement of the human body will provide the support MLL athletes need at end ranges of motion. The partnership will feature product seeded with all MLL trainers, ARYSE stadium video board spots and ARYSE social media features. Major League Lacrosse (MLL), the premier professional outdoor lacrosse league, is headquartered in Boston. MLL has led the sport of lacrosse into the mainstream of competitive team sports since 2001. In the spring of 2018, MLL entered into new leadership for the first time in 17 years when it selected Alexander Brown as the Commissioner. The league is made up of nine teams: The Atlanta Blaze, Boston Cannons, Charlotte Hounds, Chesapeake Bayhawks, Dallas Rattlers, Denver Outlaws, Florida Launch, New York Lizards, and Ohio Machine. Tickets for the 2019 season are available on majorleaguelacrosse.com. ARYSE is an emerging orthopedic and sports bracing provider that believes in creating revolutionary products that disrupt industry standards. 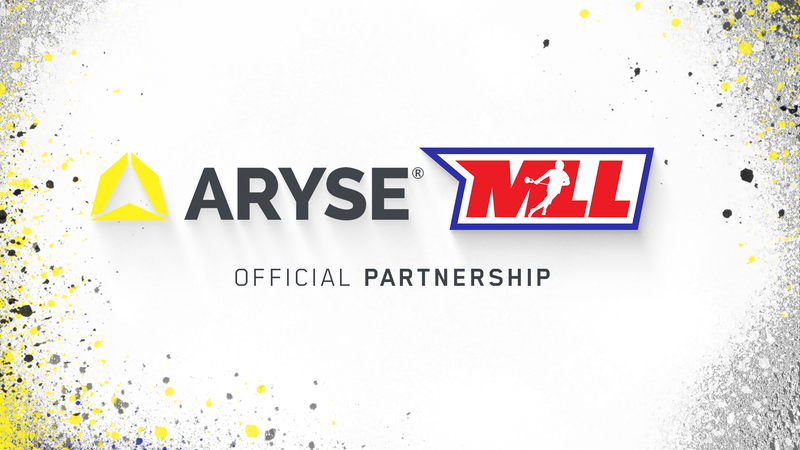 ARYSE is thrilled to bring lacrosse athletes the best in sports bracing through our win-win partnership with MLL.